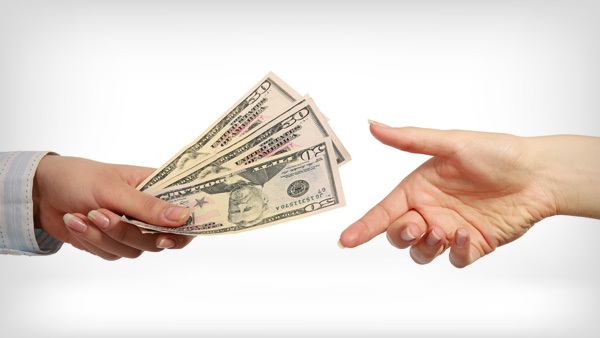 Either (1) you bluff (by betting or raising) and force your opponents to fold their poker hands. Or (2) you have the best poker hand at showdown (when two or more players show their hands after all the betting rounds have finished). 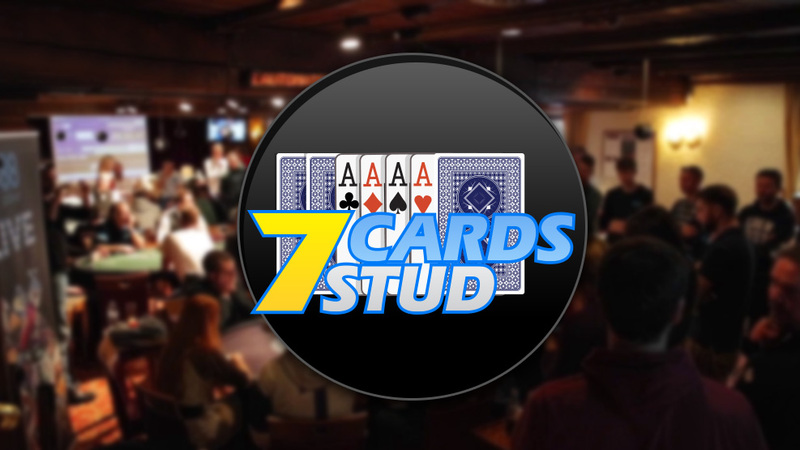 Usually, you’re looking to make the best 5-card poker hand. In the game of Texas Hold’em, you are dealt two hole-cards (your “hand”), which only you can use. Then, five community cards (3 on the flop, 1 on the turn and 1 on the river) are dealt on the table that everyone can use in any combination with their hole cards to make the best 5-card hand. If a showdown is reached after all the rounds of betting, players show their cards, and the player with the highest ranking 5-card poker hand wins the money in the pot. Let’s delve a bit deeper now into the gameplay structure for a typical hand of poker’s most popular variant: No Limit Texas Hold’em. Before any cards are dealt, players must note who has the “button”. In home games, the button is usually the player who deals the hand. In professional establishments, the dealer is a hired employee – who doesn’t play in any hands - and the button moves to the next player on the left after each hand. The purpose of the button is to identify where action should begin at each point of the hand. The small blind and big blind are representative of the stakes that are played. For example, if the small blind is $1 and the big blind is $2, we say this is a 1/2 (pronounced one-two) game. After the blinds are posted, each player in the hand receives 2 cards, face down. The small blind gets the first card, and the remaining players are dealt clockwise around the table. Action proceeds with the player to the left of the big blind (usually referred to as “under the gun” or UTG). This player can either call the big blind (match the bet), raise (put forward an amount equal to or greater than double the big blind), or fold (discard their hand without losing money). Action proceeds systematically from one player to the next in a clockwise direction, where players can either call the size of the last bet, or raise, or fold as they wish. EXAMPLE 1: Let’s say that the blinds are $1/$2 and the UTG player raises to $6. 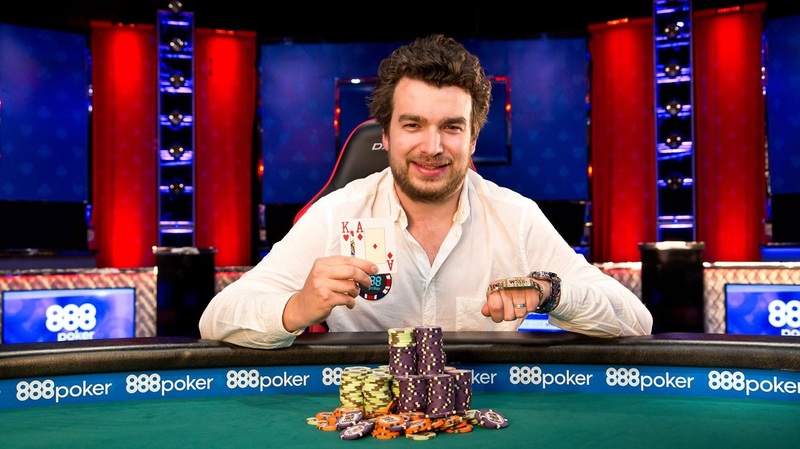 The player to his left has a strong hand and now wants to re-raise. The minimum raise size he must put forward must be at least a total of $10. This is because the difference between the initial raise ($6) and the first blind bet ($2) was $4. 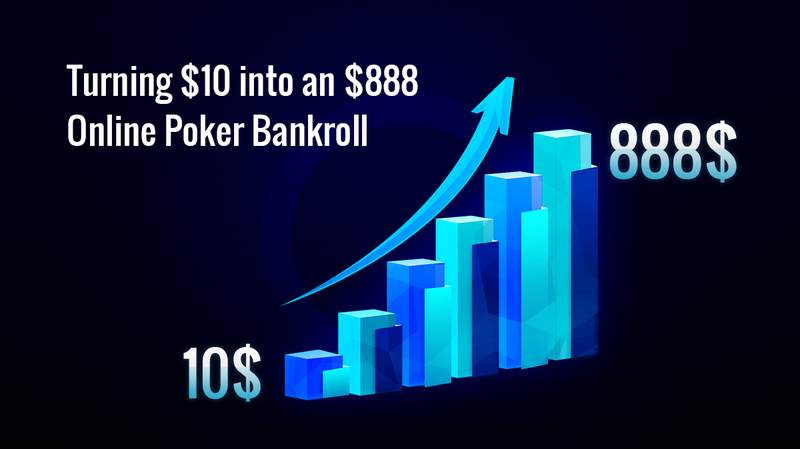 Of course, he can always raise any amount more than $10, as he pleases, as there is no maximum limit to the betting structure in No Limit Hold’em, other than being “all-in”. If there is no raise preflop, and players just call the big blind, the player in the big blind has the option to check (because his $2 is already in the middle) or raise (if he wants to put additional money into the pot). Play always continues clockwise until all players still in the hand have matched each other’s bet sizes. Three community cards are dealt, referred to as “the flop”. As aforementioned, these community cards can be used simultaneously by all remaining players to try and make the best poker hand. Play continues with a round of betting, starting with the first player still in the hand who is to the left of the dealer button. Players can either initially check (pass the action) or bet. 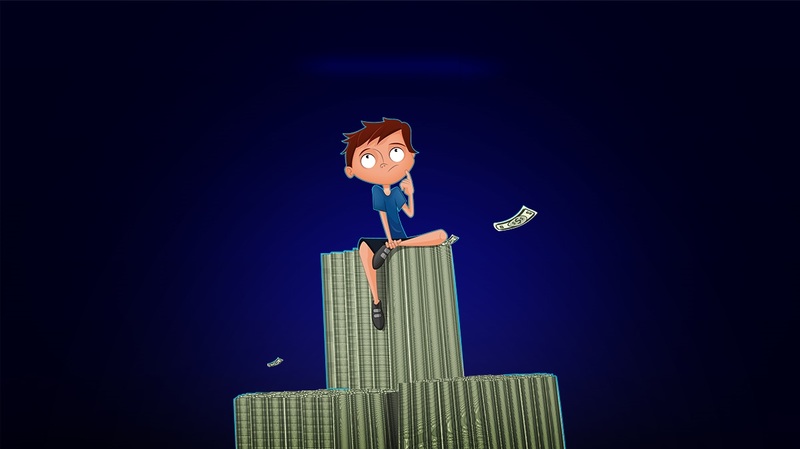 If another player has already bet, then you can call (match the size of their bet), raise (increase the size of the current bet by at least 2x – or the difference between the previous and current bet), or fold (discard your hand without having to put any additional money into the middle. o Value: To deny your opponents from freely realising the poker equity of their hand to try and get called by worse hands. • (b) get your opponent to fold now so that you win the money already in the middle. o Bluff: When you have a very weak hand and are trying to make your opponents fold a better hand, therefore, awarding you the pot. After the round of betting on the flop is completed, an additional community card is dealt, called “the turn”. This card tallies a current total of 2 hole cards and 4 community cards for active players to try and make the best 5-card hand. Another round of betting takes place, again starting with the first remaining player seated to the left of the button. Play always continues in a clockwise direction, and the betting round is completed when all remaining players have acted, putting in the same amount of money in the middle (either $0 by checking or by calling the last bet or raise amount). A final round of betting takes place. Once completed a showdown is reached. At showdown, players reveal their cards, and the highest hand (according to the hand ranking chart) wins. At this time, the pot (chips in the middle) is awarded to the winner, and the dealer button moves one player to the left, before starting with the next hand. o If someone bet (or raised) and then got called, the last aggressor – that is to say, the person who was last to bet or raise – shows their cards first, followed methodically by each player to their left. o While these are the rules for showdown, sometimes players will flip over and expose their cards immediately if they think they have the winning hand, which is also acceptable. Want to learn more about showdown? 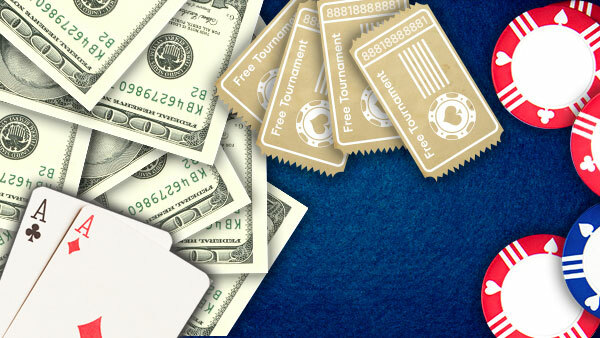 check this poker showdown ultimate guide. 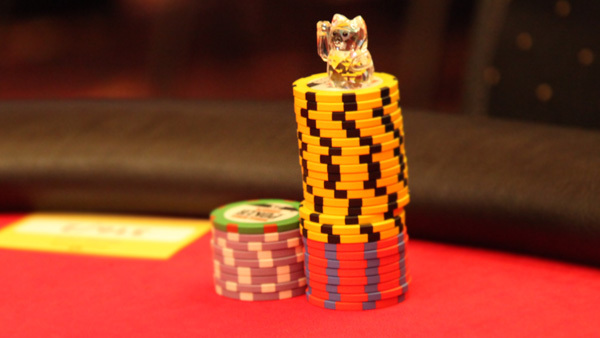 o Blinds: Do be aware that in cash games, the blinds always stay constant and never increase. In poker tournaments, however, the blinds will increase every X number of minutes, based on the blind structure for that tournament. 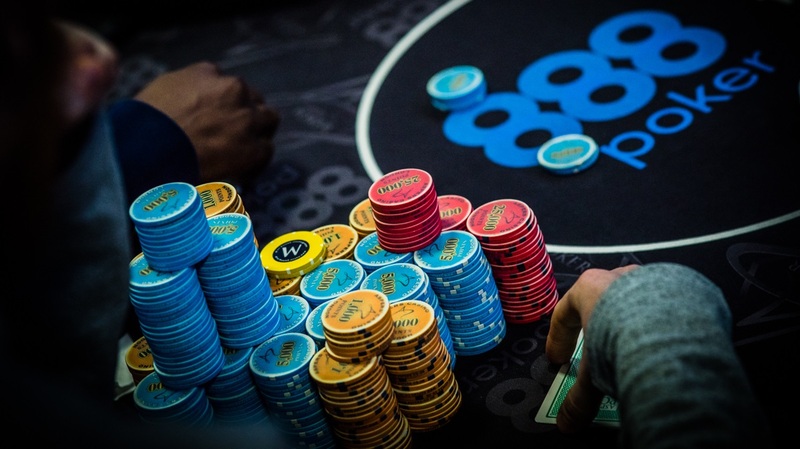 o Real Chips vs Tournament Chips: It should also be noted that in cash games, you’re playing for pots with real money, whereas in tournaments, you are playing with tournament chips that you have received after paying a fixed buy-in fee. 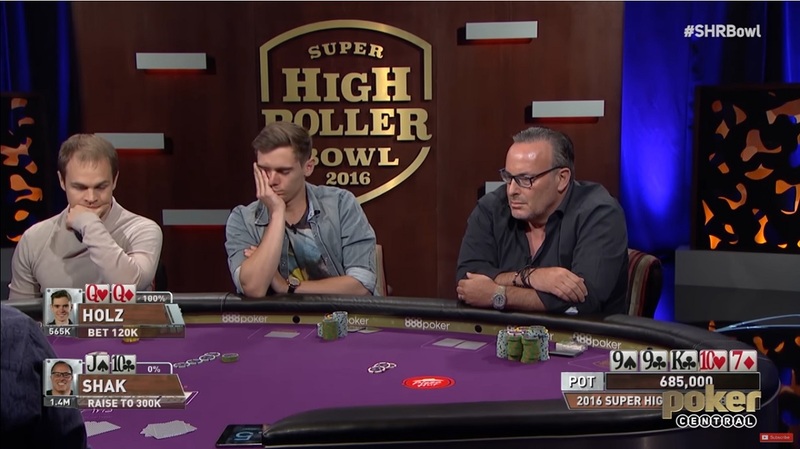 o Duration: In a cash game, you can sit-down and stand-up at any time. In tournaments, however, play always continues (according to the blind structure) until there’s an eventual winner, or a deal is made between remaining players. • All-In: Whenever a player is all-in, they can never win more money than that they have in their stack. For example, let’s suppose Player 1 makes a bet of $50 on the turn, but Player 2 only has $35 left. If Player 2 calls, then $35 is taken from Player 1’s bet and put towards the main pot, whereas the remaining $15 will be (a) returned to Player 1 if the two are playing heads-up (only the two of them in the hand); or (b) put in a “side pot” that remaining players still with chips in from of them will battle for. (NOTE: After being all-in, Player 2 cannot win anything from the side pot.) If two players are heads-up, one of them is all-in, and the other player calls, there is no further action or betting rounds, and the cards are dealt to showdown. • Antes: Usually used in tournaments and occasionally in cash games, too, antes are like blinds in the sense that they are forced bets taken from players before the start of hand and added to the main pot. 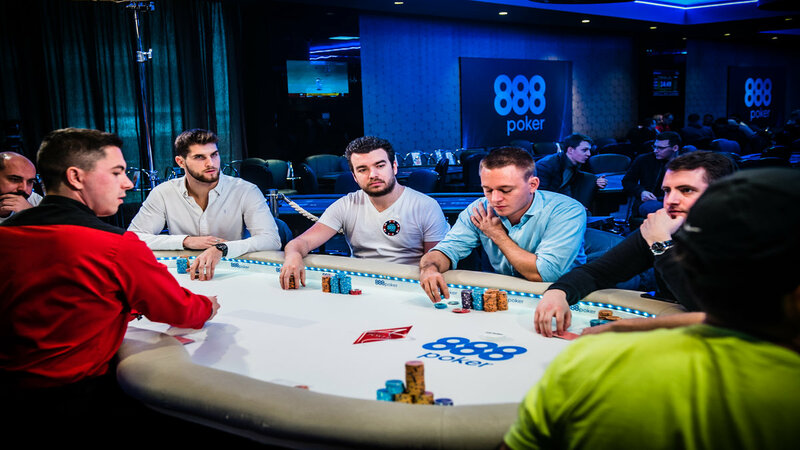 They do not contribute to money used in the first (preflop) round of betting, unlike the blinds; therefore, they are merely used to boost the size of the pot pre-flop and give players more incentive to fight for the dead money in the middle. Do note that “button antes” (one larger-sized ante) are replacing traditional antes (taken from all players) to save on time, especially in tournaments, and to move the pace of the game along. As the blinds rotate at the end of each hand, all players will be subject to a button ante at one point or another every orbit. 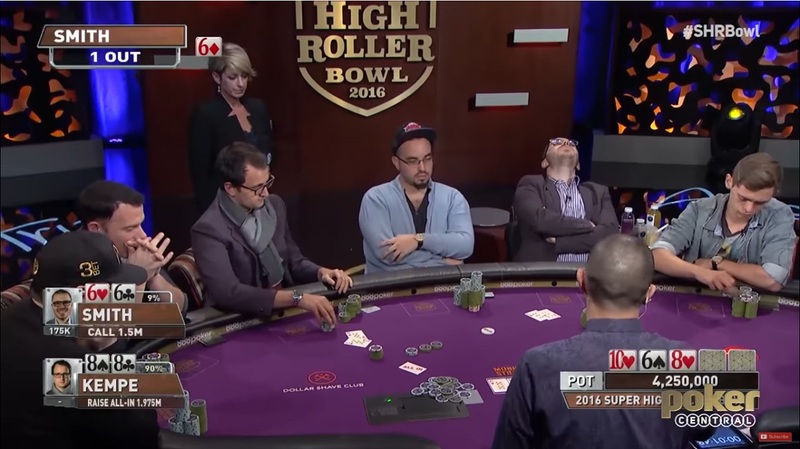 In certain poker games, it’s not always the high hand that wins the pot. • Omaha Hi-Lo: One such deviation is that of Omaha Hi-Lo (a game where players are dealt 4 hole cards instead of 2. Even though players have double the number of starting cards compared to Hold’em they can/must only use 2 of those 4 along with 3 of the 5 community cards to come up with their best 5-card hand(s)). Also, in Hi-Lo, 50% of the pot is awarded to the player with the lowest hand (Ace through 8), and 50% of the pot is awarded to the player with the highest hand (standard high hand chart ranking as in Hold’em). • Aces are high (i.e. A-2-3-4-5 is not a straight, but Ace-high). • Straights count against your hand (i.e. 2-3-4-5-6 is a straight; therefore, 2-3-4-5-7 is the best possible hand you can have in this game. • Flushes also count against your hand. 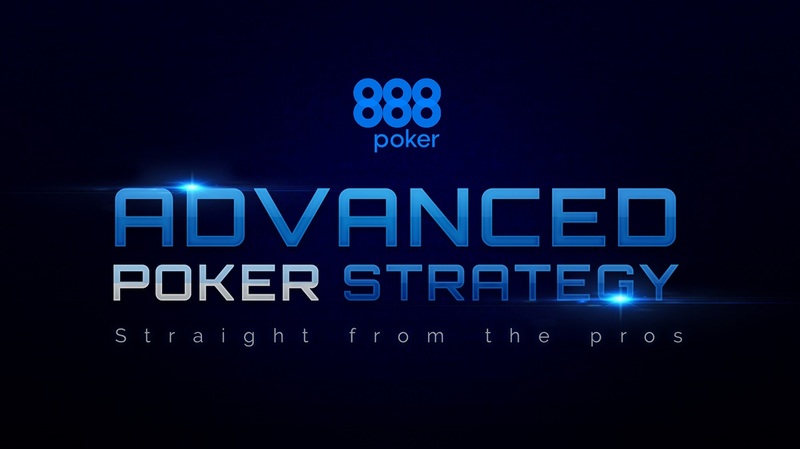 Before you can understand poker strategy, you must first know the rules for the game and how it operates. Hopefully, this article has helped to shed light on this. Be sure to also check out our article on the “unwritten rules” of poker etiquette, as well, so that you’ll be able to act like a seasoned pro in your first poker game.